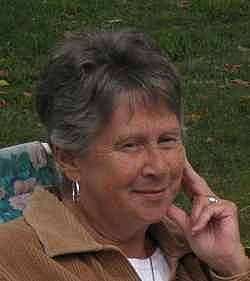 Margaret Ann (Arkinson) Corrigan died peacefully with her family by her side after a long illness on March 5, 2017. Margaret was a life-long resident of St. Albans, born on June 25th 1929, to John and Mildred (Finn) Arkinson. Margaret was predeceased by her parents; her sister, Mary Hogan of Williston, Vt.; her nephew, Tim Hogan of Richmond, Vt.; her brother in law, Rodney Corrigan of Jeffersonville, Vt.; her sister in law, Alice Corrigan of St. Albans, Vt.; her granddaughter, Christi Corrigan of St. Albans, Vt. and her husband, Robert of St. Albans, Vt.
Margaret is survived by her four children, Dr. Michael Corrigan and his wife, Janice; David Corrigan and his wife, Donna; Lisa Pelkey and her husband, Brian, all of St. Albans; and Daniel Corrigan and his wife, Suzanne of Saline, Michigan. Margaret is also survived by her grandchildren, Robbie, Jamie, Casey, Jessica, Jason, Joshua, Meg, McKenna, Connor, Aidan and her great grandchildren, Alex, Adam, Landon, Sadie and Paxton. Margaret was a beautiful and loving person who will be greatly missed by all who loved her but, will never be forgotten. A Mass of Christian Burial will be celebrated on Saturday, March 11th, 2017, at 11:00 A.M. in St. Mary’s Catholic Church, 45 Fairfield Street, St. Albans with the Reverend Joseph Ikegbunam as celebrant. In lieu of flowers, memorials may be made to Franklin County Home Health Agency, Hospice Program, 3 Home Health Circle, St. Albans, VT 05478 or Franklin County Animal Rescue, 30 Sunset Meadow, St. Albans, VT 05478. Assisting the Corrigan family is the Heald Funeral Home, where written expressions of sympathy are welcome at her on-line guest book at www.healdfuneralhome.com.